Short term rental house from midd August for 3 weeks from 14 of August to 5th of Sept, 2 bedrooms: one master ensuite, with queen bed, second with two twin beds; 2 1 /2 bathrooms, 2 level floors house . 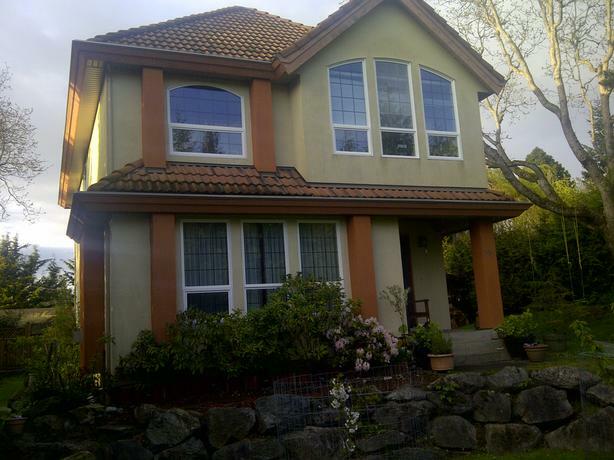 Located in beautiful Brentwood Bay in 20 minutes driving distance to Victoria downtown and 25 minutes to UVIC. And only 3-5 minutes driving to colorful Butchard Gardens , 10 minutes walking to downtown village with grocery store and main pub, 5 minutes walking to a pebble beach and Brentwood Bay Marina with kayaks and scuba rental equipment. There is additional 150$/week per person for third and forth quest in the house, subject to cleaning fees on departure. Open to locals in transition and out of town guests all with references.